The NIKKOR Z 14-30mm f/4 S delivers the superior optical performance that only S-Line lenses can offer, including superb resolution that brings out the full potential of high-pixel-count digital cameras, for both still images and movies. While delivering an extremely high standard of optical performance, an easy-to-carry, approx. 485 g lightweight body is realized thanks to the retractable mechanism, providing remarkable agility for faster shooting. 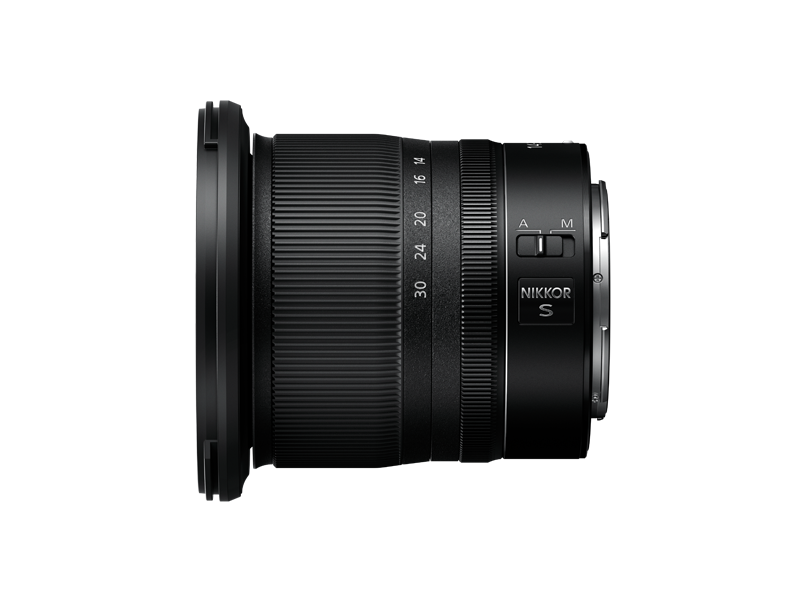 World's first* filter-attachable ultra-wide-angle zoom lens covering a focal length from 14 mm enables photographers to shoot more creatively by utilizing Polarizing or ND filters. Being able to protect the front lens element with a filter or lens hood also brings greater peace of mind in the field. 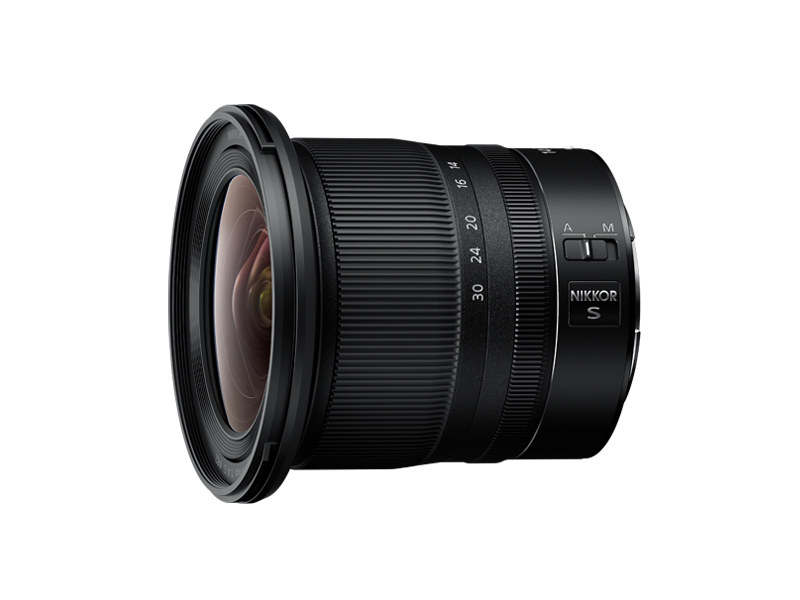 * Among full-frame (Nikon FX-format) interchangeable lenses for digital cameras with interchangeable lenses with a focal range beginning at 14 mm or lower, available as of January 8, 2019. Statement based on Nikon research. 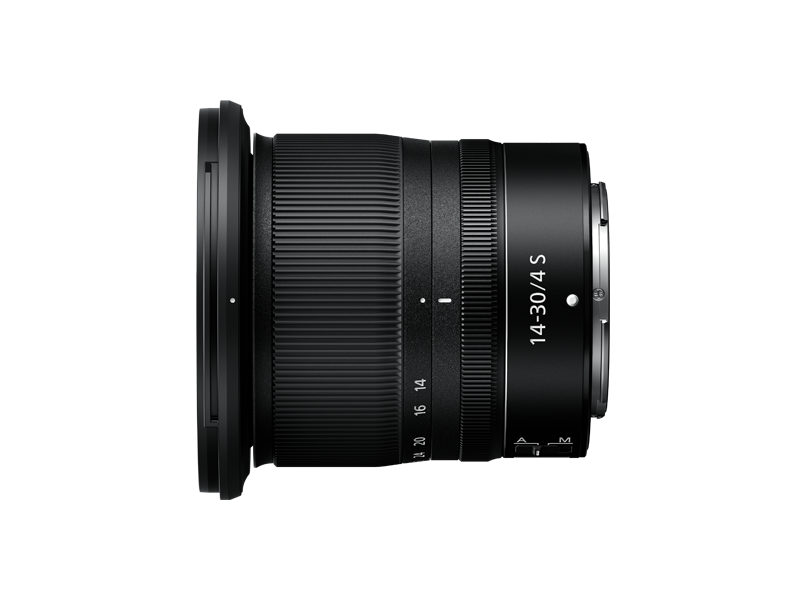 Focal-length range covers from ultra-wide-angle 14 mm to wide-angle 30 mm*, delivering images with dynamic perspectives, while capturing a broad range of scenes. * When using DX-format image area, the angle of view is equivalent to that of a 21-45 mm lens in 35mm format. Constant maximum aperture of f/4 permits shooting using the same aperture throughout the zoom range, enabling photographers to reflect their intentions with exposure control. Impressive movie recording performance is realized by intensive consideration even of details such as focus breathing compensation and minimized operational sound. The control ring, to which functions such as focus (M/A), aperture and exposure compensation can be assigned, enables comfortable shooting with its superior operational feel. 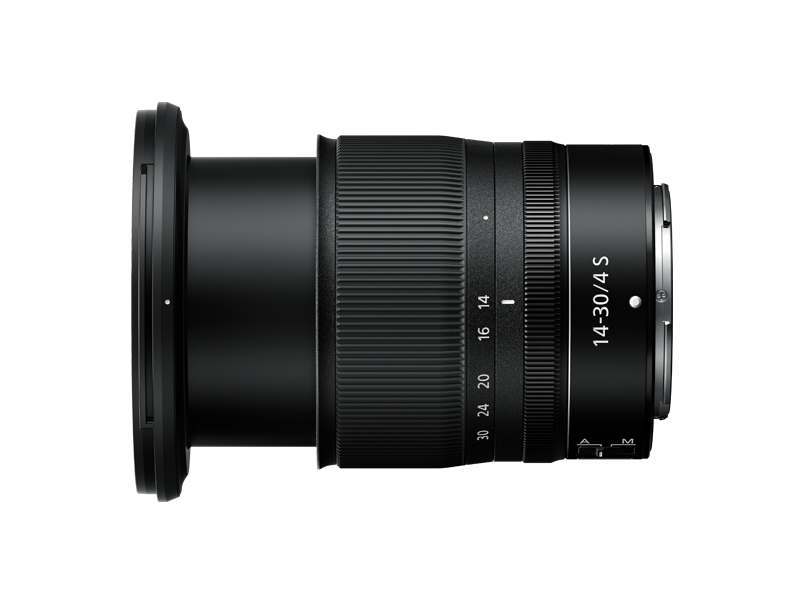 Lens body is designed carefully considering dust- and drip-resistant performance for enhanced reliability. Nikon's original fluorine coat is applied to the front lens surface, providing high antifouling performance. Stepping motor (STM) is employed for quiet and responsive AF control. Electromagnetic diaphragm mechanism provides accurate, stable aperture control even during high-speed continuous shooting.